A dozen awesome holiday gift ideas for the cooks in your life who you think have everything. (This is not a sponsored post — I’m featuring these brands because I love these items!) 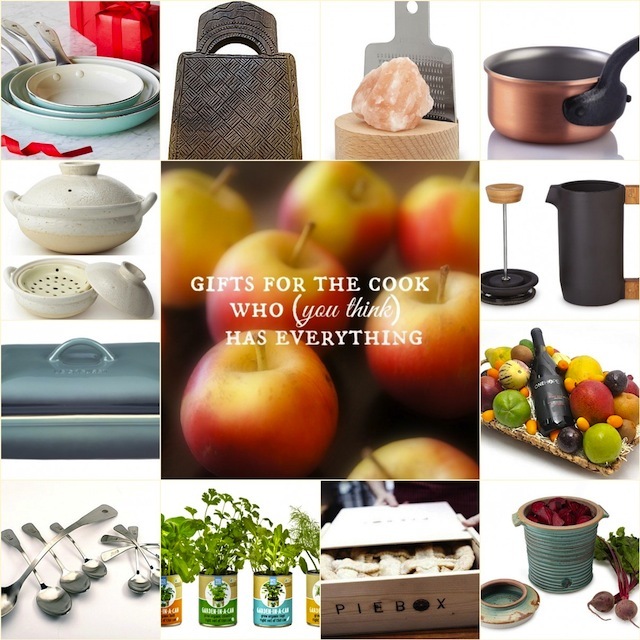 Now that you have my 2015 list of 20 Gifts For Foodies For Under $20, I’m sharing my second annual holiday gift guide — this one is for “the cook who has everything.” At least, the cook who you think has everything. These picks vary is price, and are super unique and fun. Just like every other year, I only include products in my gift guides, that I either have and love, or want and love. I’m really excited about this year’s picks! Let’s check them out . . . . When you buy this beautiful basket of exotic and tropical fruits with Pinot Noir, you’ll also be donating to a wonderful cause. One Hope Wines will donate half of their profits to aid in pet adoption. It’s a win-win! Himalayan salt is not only delicious, but it’s also packed with health benefits. When you’re not grating it over food, the pick rock sits beautifully on the miniature grater made of beachwood and stainless steel. It’s a lovely display. Please note that the prices for all of the above items are current as of December 1, 2015, and will likely change over time. Want even more ideas for the cooks in your life who you think have everything? Here you go . . .
Well! I’d like one of each! Seriously the coffee press is going on my wish list. Thanks for the inspiration Valentina! OK, I want that loooong handled spoon, I want the prettiest skillet I ever did see, and I want the covered Le Creuset. For now. That’s too greedy, right? David, so funny . . . when I found that pasta board, I thought of YOU. Something about your recipes, the vibe of your blog — I could picture it in one of your photos. 🙂 Hope Santa is good to you. 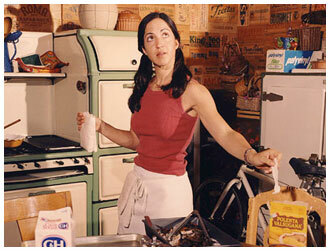 You’re right – we don’t have everything ‘) I love them all – and a great addition to any cook’s kitchen. Thanks for sharing, Valentina and Happy Holidays to you and your family! If your friends have “everything” make a donation in their name to a food pantry. Help out at a soup kitchen. Giving to those who need is more important than giving to those who want. Thank you for your comment and I agree with you — we should give to those in need when we can. This is just a list I do each year, for people who also like to give for fun. 🙂 I would like to write a post about ways in which people can give back — thank you for inspiring me and I will do so as soon as I can. Thanks for sharing this! It’s very useful for me.